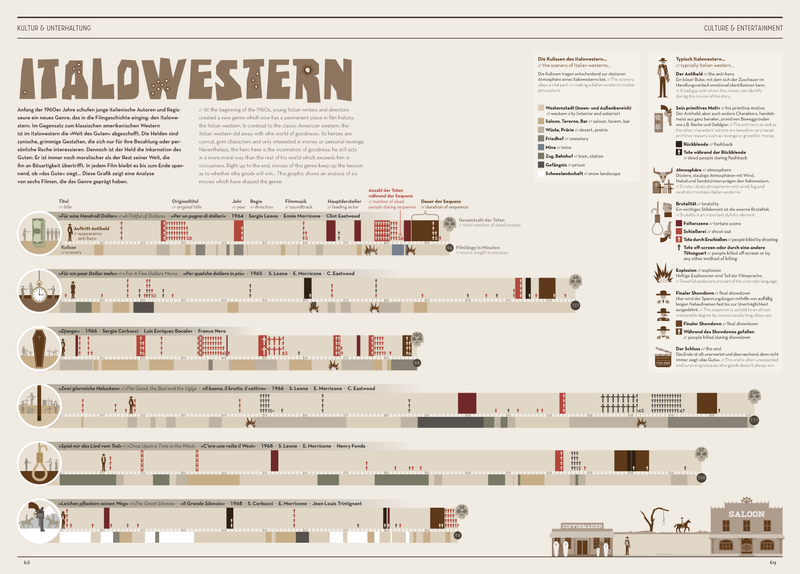 This Infographic about the film genre »Italian western« shows an analysis of six movies which have shaped the genre. Published in the In Graphics Magazine Vol. 8.